Cherokee Health System serves residents of the Lakeway region of East Tennessee. Through its main office in Knoxville and satellite clinics located throughout its service area, Cherokee provides a comprehensive array of clinical, consultative, and community support services as well as medical treatment and integrative care. Outpatient behavioral services include individual, family and group therapy, day treatment, and pharmacotherapy. Cherokee also provides a broad spectrum of evaluative services, including psychodiagnostic, forensic, psycho-educational, and vocational assessment. A strong commitment to influencing the psychological sophistication of the region is reflected in various programs of consultation and education offered to schools, physicians, business and industry, the courts, and other community agencies. Cherokee staff are licensed and certified by the State of Tennessee and national professional organizations. Training at Cherokee consists of supervised involvement in all phases of Center services appropriate to the specific training needs of each student. Clients are adults, adolescents and children, and the intervention strategies range from cognitive-behavioral, psychodynamic, family systems, and interpersonal. They also are part of multi-disciplinary treatment teams. By the time these experiences occur, students have had two years of doctoral study which includes a year of supervised clinical practicum in our Psychological Clinic, plus two years of supervised research experience. Thus, most students are ready to see patients and clients in off campus settings or to serve as instructors in undergraduate courses (Introductory, Abnormal, Child, and Social Psychology). The five off-campus clinical placement sites all offer supervision by licensed clinical psychologists, and the teaching practicum is supervised by clinical and experimental program faculty who have taught the relevant courses (this practicum has a prerequisite seminar in college teaching). Participating agencies have a strong training mission, as evidenced by their willingness to provide supervision, regular feedback on student performance, and financial support (an agency typically does not completely recoup its costs through capitation contracts). Based on the supervisor's written feedback (twice per year), there is a consistent basis for faculty reviews of the student's experience. While each student's transition from the second year campus clinic practicum (i.e., comprehensive assessment and both long and short-term psychotherapy) to the real world of managed care is usually awkward at first, most quickly gain breadth in their assessment and intervention skills. When students are ready to leave for internship, they appear to be comfortable in most clinical settings and seem to have reasonably well thought out views of their professional identities. Students will be working in a children's hospital medical setting with exposure to various populations of children, adolescents, and families with acute and/or chronic physical conditions and co-morbid psychological concerns. Students will have the opportunity to be involved in interdisciplinary clinics, especially the pediatric outpatient weight management clinic. In this clinic, students will be working with children, adolescents, and their families who struggle with obesity and their endeavor to make healthy lifestyle and behavioral changes. Students will also have the opportunity to learn and engage in the consultation-liaison process as well as having the opportunity for outpatient assessment and/or therapy. Students with research-related interests may also have some exposure and participation in ongoing research projects within the pediatric psychology. The CSU is a 15 bed, non-hospital, facility-based service rendering stabilization services for up to 72 hours. Its purpose is to prevent further increase in symptoms of a behavioral health illness and/or to prevent acute hospitalization. The CSU provides services to adults (18 years and older) experiencing a behavioral health crisis. All services are provided on a voluntary basis. The CSU is located on the Center's CenterPointe Campus and serves Knox County and thirteen surrounding counties. 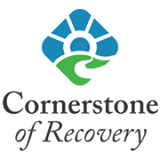 Services include medication evaluation and treatment services, including illness management and recovery programming. The goal is to stabilize the crisis and divert a psychiatric hospitalization or incarceration, and to engage with mental health services upon discharge. Psychology doctoral students provide one-on-one psychotherapy, psychological assessment, group psychotherapy, crisis intervention, case consultation with medical staff, and family therapy. Knoxville Family Justice Center serves domestic violence and sexual assault victims. The mission of the Knoxville Family Justice Center is to provide victims of domestic abuse with a single location to access advocacy and other services necessary to build a future of choice, safety and opportunity. This comprehensive support center provides co-located services for victims and their children including prosecutors, detectives, clergy and social service professionals. The Integrative Healthcare program at The University of Tennessee Medical Center is designed to provide supportive and integrative therapies for cancer patients and their caregivers during all stages of cancer care, from initial diagnosis and cancer treatment through aftercare. The program supports a holistic model of treatment involving the mind, body, and spirit. Offered services include psychotherapy, behavioral activation, massage therapy, Reiki, Yoga, Rubenfeld Synergy, and music therapy. Collectively, these therapies are used along with traditional cancer treatments and often enhance the effect of treatment by reducing mental and physical stress during the cancer journey. Students in this placement will have the opportunity to work in a multidisciplinary setting that emphasizes communication and collaboration. Students will attend cancer conferences, directly communicate with oncologists, nurses, and medical staff, provide individual and group therapy to cancer patients, serve as a mental health consultant, and also have the opportunity to pursue a variety of research projects – all in the context of a newly built state-of-the-art cancer treatment facility. The student placed at the University of Tennessee Medical Center's Cancer Institute (UTMCCI) will have valuable experiences within a hospital medical setting, and more specifically the brand new state-of-the-art Integrative Health Clinic. The Integrative Healthcare Program at UTMCCI is designed to provide supportive and integrative therapies for cancer patients and their caregivers during all stages of cancer care, including diagnosis, treatment, and follow-up services. The program supports the UTMCCI holistic goal of healing the whole person (mentally, physically, and spiritually). Integrative therapies are used along with traditional cancer treatments and often enhance the effect of treatment by reducing mental and physical stress during the cancer journey. The Cancer Institute Integrative Healthcare services and programs are also accessible to staff members as part of an employee wellness program. Included among services offered are cognitive-behavior therapy, mindfulness-based stress reduction, yoga, massage therapy, acupuncture, Reiki, Rubenfeld Synergy, and music therapy. The practicum student will work within a multidisciplinary team that includes mental health practitioners, physicians, oncologists, and nursing staff. Thus, there is ample opportunity to learn and engage in the consultation-liaison process as well as conducting psychological assessment and psychotherapy. Students with research-related interests will also have exposure and participation in ongoing research projects within the UTMCCI that involve systematic assessment of patient treatment outcomes.